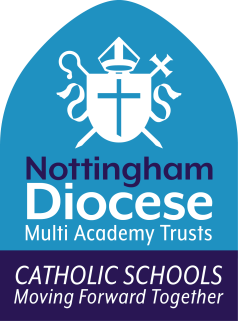 On 1st September 2018, the Our Lady of Lourdes Catholic Multi-Academy Trust will bring all of the 21 Catholic schools located in Nottingham City and Nottinghamshire together in a partnership, which will ensure the very best spiritual, social and academic experiences and outcomes for the young people in our schools. We will achieve this through working together to share what we do well and identify the areas where we can learn from each other. As a Catholic MAT, we will place the life, teachings and person of Jesus Christ at the centre of everything we do. on the Catholic Life of the school and standards. with the TSA to support the work of the Teaching School.